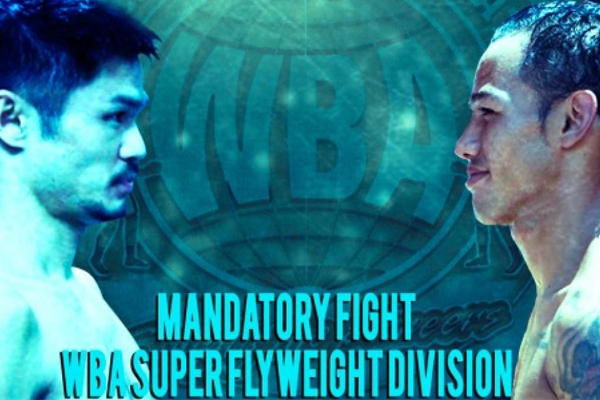 On Wednesday, August 31, two long-time veterans riding hot streaks will face off in Tokyo, as WBA super flyweight champion Kohei Kono defends his title against Luis Concepcion. When it comes to 115-pound champions, Kono definitely rates behind WBC champion Carlos Cuadras, as well as his unbeaten countryman, WBO champ Naoya Inoue. I would probably place him more or less on a par with IBF titlist McJoe Arroyo. Still, Kono is definitely top five in the division, and Concepcion is very close to that level. So this is a well-matched, major fight for the division. At 35, Kono has been a professional for most of this century, having turned pro in November 2000. He actually lost his first professional fight and has had an up-and-down career. In 2010 and 2011 he lost three straight fights, including an eight-rounder against a 2-0 fighter. But since then, he has lost just once, by majority decision to Liborio Solis in May 2013. He has held the WBA belt for most of the last four years. In October 2015, Kono won the biggest fight of his career, defeating Koki Kameda by unanimous decision in a bruising fight. Kameda is a former world champion and has been one of the biggest boxing stars in Asia over the past decade. Concepcion has been a pro for just over a decade now. His only loss in the past five years came against Carlos Cuadras in April 2014. He was knocked out twice by Hernan Marquez in 2011, but avenged those defeats by one-sided shutout in his last bout, in December 2015. These smaller weight class fights do much better in Japan than in the United States. Like Concepcion, who is from Panama, pound-for-pound king Roman Gonzalez also spent time fighting in the Land of the Rising Sun during his career. It would make a lot of sense for the winner of this fight to face Inoue. With Gonzalez set to face Cuadras in a big fight next month in California, super flyweight might suddenly find itself as one of the sport’s hot divisions.